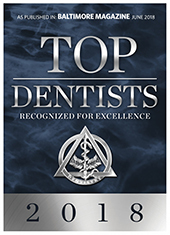 Testimonials - Pediatric Dentists in Lutherville, MD. Our office provides specialized dentistry for infants, children, young adults and special needs in a warm, caring and "child-friendly" environment. As pediatric dentists, our 2-3 years of additional training after dental school has prepared us for the unique dental needs of each child we serve. We focus on preventive care to help each child grow a healthy smile that will last a lifetime. Our office serves infants, children, teens and those with special needs in Lutherville, MD including the surrounding areas of Towson, Pikesville and Cockeysville, MD. Joppa Green Pediatric Dentistry is a pediatric dental office in Lutherville, MD serving infants, children, young adults and special needs. The office also serves the surrounding cities of Towson, Pikesville and Cockeysville, MD. Copyright © 2016 Dr. Susanne Wallengren and Smile Savvy.